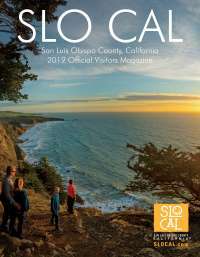 With more than 300 days of sunshine, SLO CAL offers a fantastic range of activities for groups of all ages and interests. Enjoy a historical and art-packed tour at Hearst Castle, or travel out on the farm for hands-on, you-pick tours. Saddle up for a ride along the beach or through wine country. Maneuver a tandem kayak through the Dinosaur Caves in Pismo Beach or whale watch in Morro Bay. Whether your group is small or large, you’re sure to find something for every palate, at every time of year.